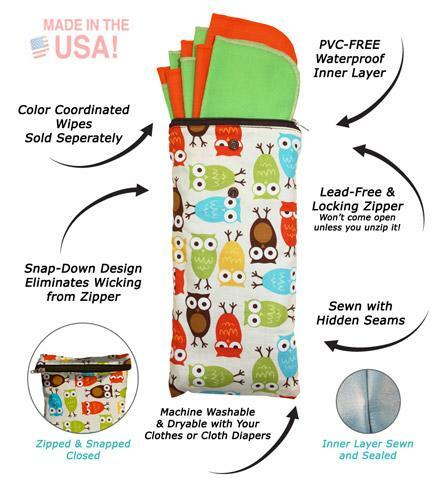 The Planet Wise Wipe Pouch™ features our patent pending no-leak design so your reuseable wipes will stay moist and not wick into your diaper bag. 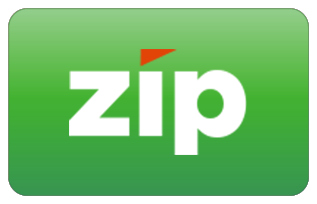 Featuring high quality designer fabrics with coordinating waterproof inner material and locking zipper. The unique snap down design eliminates wicking from the zipper area. 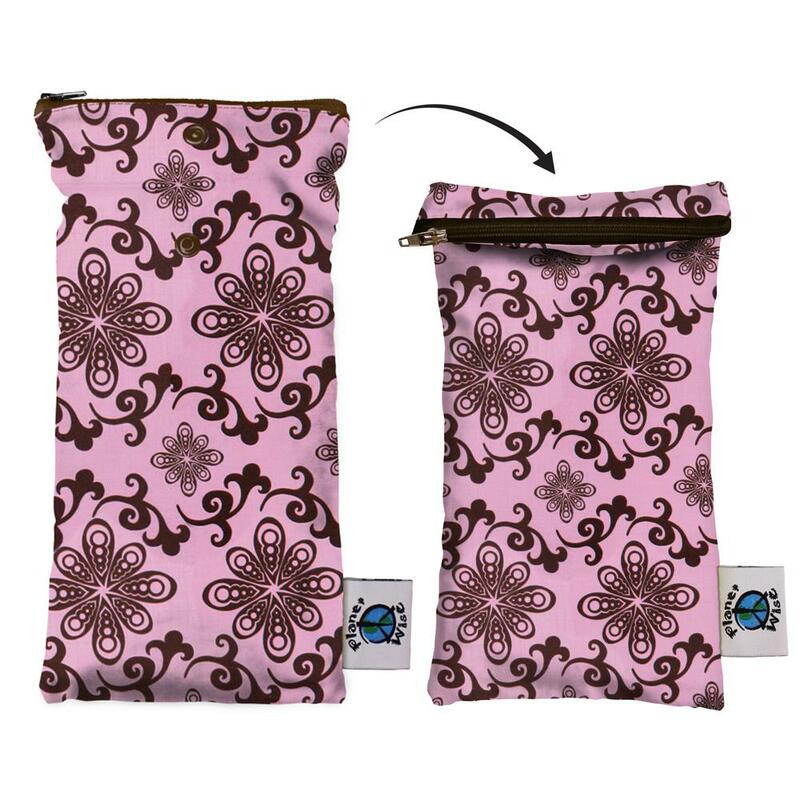 Most standard size wipes will fit into our Wipe Pouch™ perfectly! 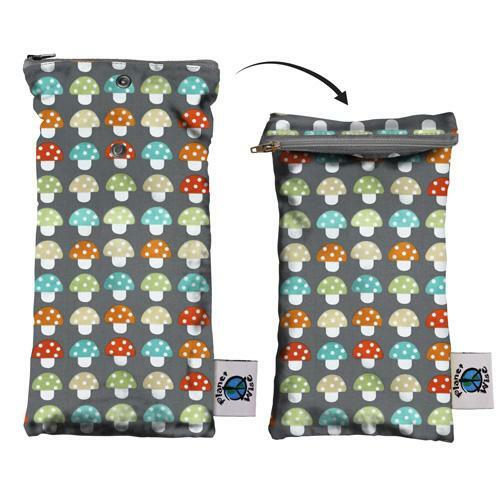 This pouch will last and last and after you're done with the baby years, keep this pouch to use for just about anything you need to transport: make-up, toiletries, anything! 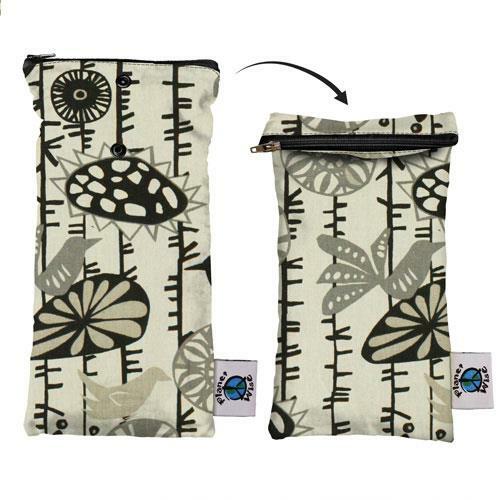 Wipe pouches are anti-microbial too! 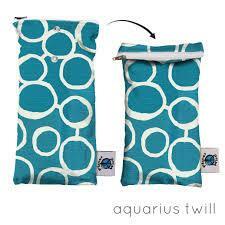 The Planet Wise Wipe Pouch™ makes a great gift item and is a perfect compliment to any diaper bag. Wipes sold separately.